All burning operations in the city shall comply with the “Rules for Air Quality Control” chapter 391-3-1 as written and amended by the Department of Natural Resources, Environmental Protection Division, Air Protection Branch unless specifically modified herein. No person shall cause, suffer, allow or permit open burning in any area of the city without a permit issued by the Georgia Forestry Commission, in accordance with O.C.G.A. § 12-6-90. No burn pile shall be larger than six feet (6’) in diameter by two feet (2’) high. There shall be 10 feet between burn piles. The location for open burning shall not be less than 50 feet from any structure (house, accessory structure, fence, public utility) on piles three feet (3’) to five feet (5’) in diameter and 25 feet where the pile size is three feet (3’) or less in diameter and two feet (2’) or less in height. All fires must be constantly attended by a competent person 16 years of age or older with the ability to extinguish the fire. There shall be no more than two (2) burn piles at any time. No burning of this type will be authorized when the humidity is less than 25 percent or the winds are greater than 10 mph, as provided on the Georgia Forestry Commission daily “wind speed” and “humidity” database (http://weather.gfc.state.ga.us/Maps.html). Failure to comply with these rules which results is an uncontrolled fire or a valid complaint that requires the response of the fire department, will result in the fire being immediately extinguished. Ashley Brown was born and raised in Pooler, Ga., leaving temporarily but always returning home. 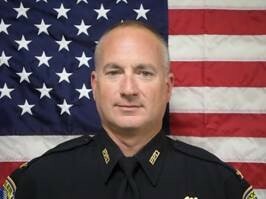 A graduate of Groves High School and Armstrong State University with a degree in Criminal Justice, Brown has proudly served with the Savannah Police Department for the last twenty-four years on various departments such as; Undercover Vice, Homicide, and Patrol. Through hard work and commitment Brown was able to work his way through the ranks to become Captain within the department. During his time as Captain he was in command of patrol precincts as well as a variety of specialized units, such as the End Gun Violence program. Grateful for the opportunity he has been given of coming home to Pooler as our new Chief, Brown states that he is happy to get started on this new adventure and eager to serve his home town. It’s time to renew your Fire Protection Coverage Agreement with Pooler Fire-Rescue. Unincorporated Chatham County residents of Berwick Lakes and Hampton Place subdivisions are subject to this Fire Protection Coverage Agreement. Please complete the application and submit with payment to Pooler City Hall, 100 SW Highway 80, Pooler, GA 31322. Please note **Fire Protection Coverage Agreement with Pooler Fire-Rescue DOES NOT coordinate with your home owners insurance policy coverage dates, our coverage agreement is for the calendar year January-December** ALL PREVIOUS FIRE PROTECTION COVERAGE EXPIRED DECEMBER 31, 2018 Please contact Stacy Weston, Fire Coordinator at 912-748-7012 if you have any questions. The Planning & Zoning Commission has changed the meeting time from 6:00 p.m. to 3:00 p.m. The meetings will still be held on every 2nd and 4th Monday of each month, in the Council Chambers located on the 3rd floor of City Hall. Pooler now accepts online utility payments from the comfort of your home at anytime, night or day. Pay via credit card or via online checking account transfer. In an effort to maintain the quality of Pooler and to manage the unprecedented growth Pooler seeks to constantly improve the ordinances that guide our city. To stay informed of these changes, please check back often. The entire Code of Ordinances and amendments is available online. Recent amendments are listed in the center of the page, with the existing ordinances listed in index format on the left side. Please review them here at your convenience.